During these days in Haiti, it is the rainy season. It usually rains during the night; during the day, there is no sign of rain. However, today was a different story. In the morning, we hung our laundry on the line on the roof; dark clouds rolled in and the winds became powerful. Our line and the sheets that we had hung up went flying into the mud. As you can see from the pictures, some of the clothes are not ours. They belong to our neighbors. They lay their laundry on the ground and, when they dry in a few days, they will come for them. They don’t seem to worry that their clothes will blow away. 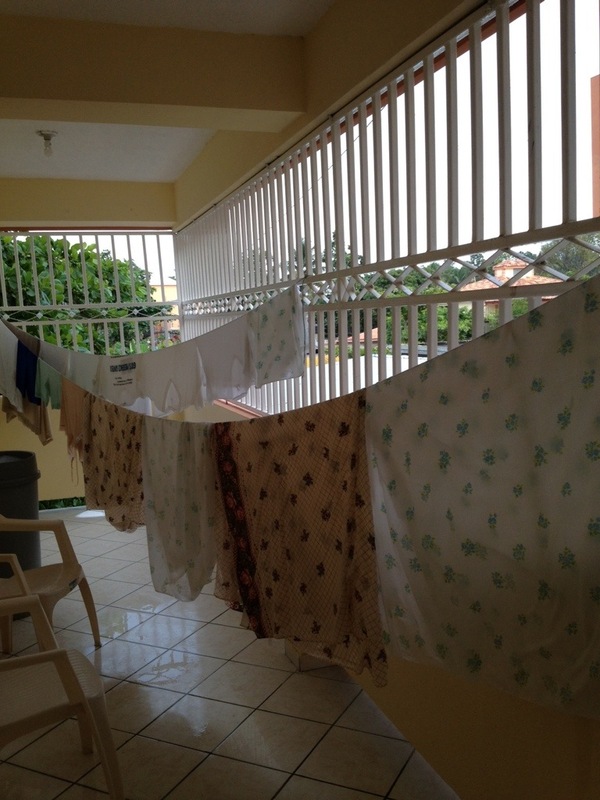 But we rinsed our sheets in the washing machine as best we could and hung a line for our clothes in our home. Usually the rains come from one direction; today they came from everywhere, and we had a flooded hallway as well. 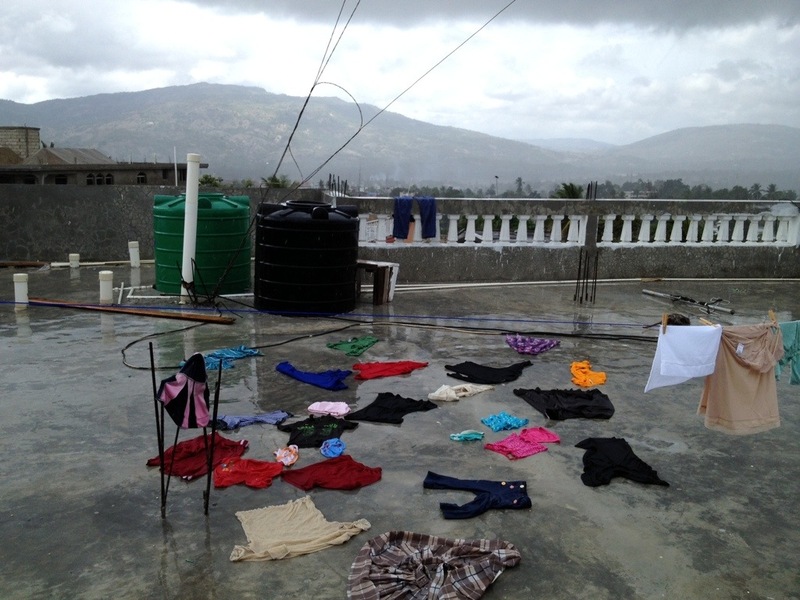 Yes, we are learning to live in the rainy season in Haiti! What a sensible resolution. Although not everyone has such a wonderful corridor.